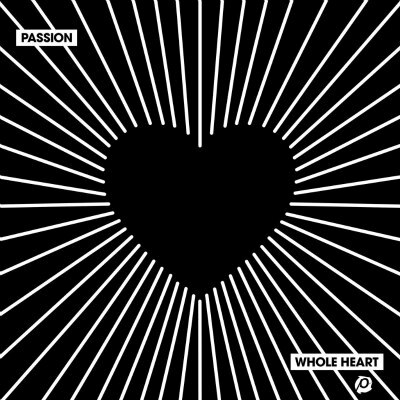 Passion Conference fans will be pleased to know that the popular worship conference music collective has released their latest album, recorded live at the 2018 Passion Conference. With features by well known Christian music voices (such as Crowder and Matt Redman) and really excellent vocal work by a few new faces, one does not really miss the absence of Passion stalwarts, Chris Tomlin and Christy Nockels. The 2018 Passion Conference event drew a crowd of more than 32, 000 students – all yearning for the same thing – to worship the Lord wholeheartedly. Coincidentally the new album is titled Whole Heart and features a string of new music, as well as a bunch of old favorites that will probably be familiar to the listener. Another oldie is the All Sons & Daughters classic, Great Are You Lord, lead by Gospel legend, Matt Redman. With a highly emotive opening, Redman sets the atmosphere, encouraging the listener to enter in. Bethel Music fans will appreciate the edition of one of 2018’s biggest hits, Reckless Love, lead by Melanie Malone. The songbird also leads a powerful worship song, Ever Almighty. Malone’s eclectic singing style really draws one in – I enjoyed listening to this one. But, the star of the album, has to be the quirky David Crowder with his offering, Ghost. This stellar singer and songwriter certainly has a way with words and I love that he is able to take worldly concepts, and help us to view it under the lens of the Cross. This song is well written and is the perfect song for your Easter set lists. Christian pop rock artist, Tauren Wells track, All My Hope, is such a gorgeous album closer. This is probably my most favorite song on the whole album. The track features a very soulful Wells, paired with a country-voiced Crowder, delivering a really beautiful melody and thoughtful lyric. I hope that this means we will be hearing more of Wells on future Passion projects. Passion fans will appreciate the release of yet another star-studded worship album, filled with the type of songs that the worship conference is well known for. It’s a great one to add to your collection, but it has made a little bit more excited for the collective’s next offering!